"Trust no one. Everyone lies. You can only save yourself." It was supposed to be a Friday night like any other for Lana and her best friends. Three girls out to cause a little trouble. Break a few hearts. And try not to get caught. Except on this night, Lana Peri is the sole witness to a horrific crime, and she can't say a word. Not if she wants to protect her friends. No one will believe her word over his, so he gets away with it. And she's forced to pay for her silence. Instead of serving time in juvie, Lana is sentenced to a boarding school for privileged teens. Removed from everyone she knows and cares about, she's abandoned at Blackwood School in Vermont, where everything is an illusion, including the lives of those who attend the elite institution. Lana isn't wealthy or privileged. The only thing she has in common with the sons and daughters of celebrities and politicians is that she's a delinquent, just like them. And they've all been forced to grow up much too fast. Just when Lana begins to feel accepted, mysterious notes start showing up in her belongings and ominous threats are painted on her wall. Only someone she knows could have done it. Someone she thought was a friend. As the pieces fall into place, secrets begin to emerge, leaving Lana with too many questions and not enough people to trust. 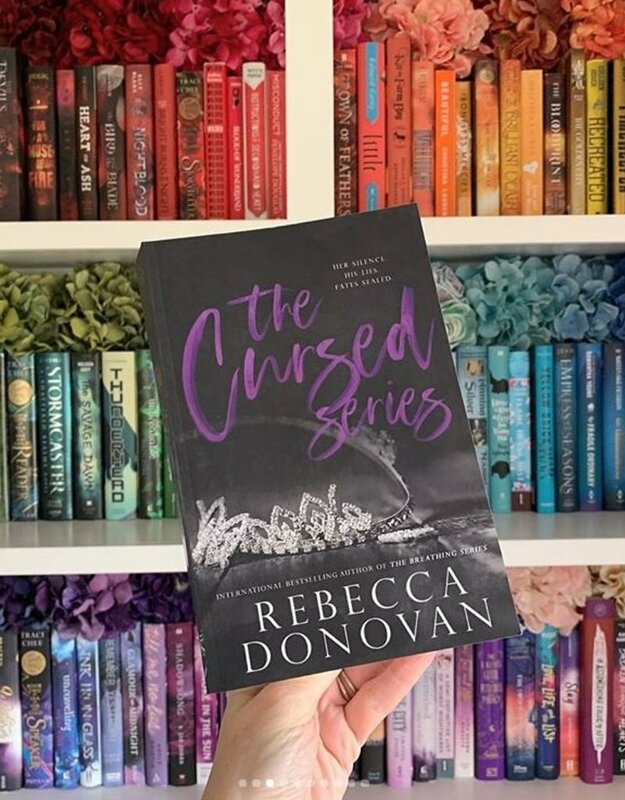 The Cursed Series is a thrilling and tangled mystery that explores the sacrifice of love and the secrets kept to protect friends. How do you know who to trust when no one is telling the truth?